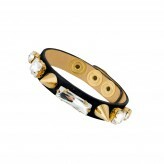 Genuine leather bracelet with 6 original spikes (either in silver or gold metal) topped with a colored or transparent crystal stone. 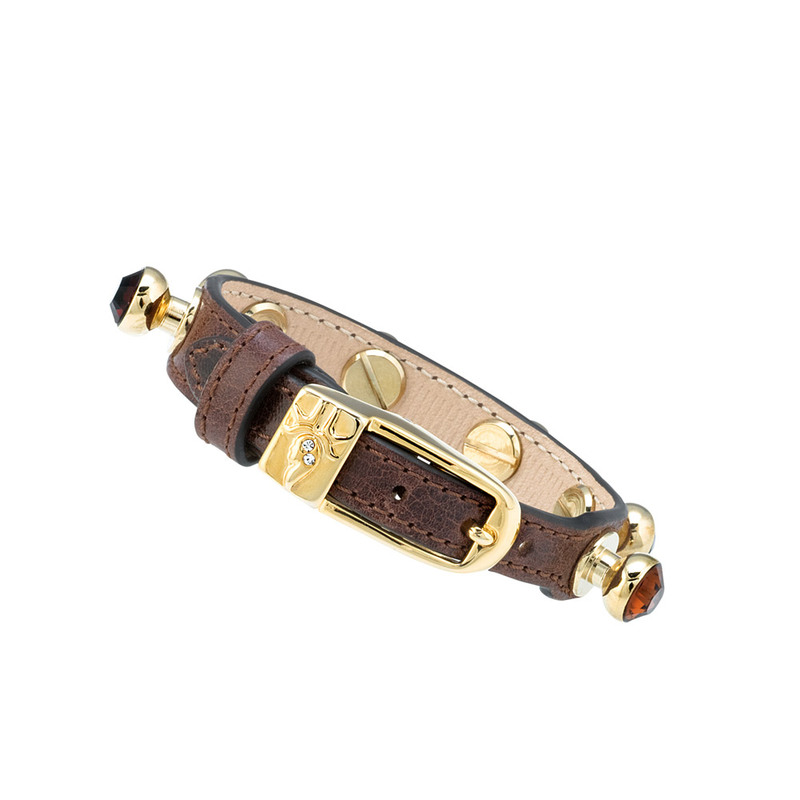 The original buckle with the LIBA® logo is decorated with two small crystal stones. 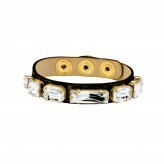 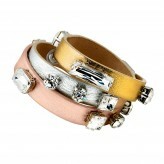 Each bracelet may have crystal stones in one to three color shades matching the color of the leather. 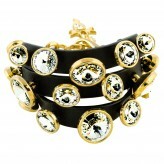 The “Spikes II” bracelet is available in 20 color variations.